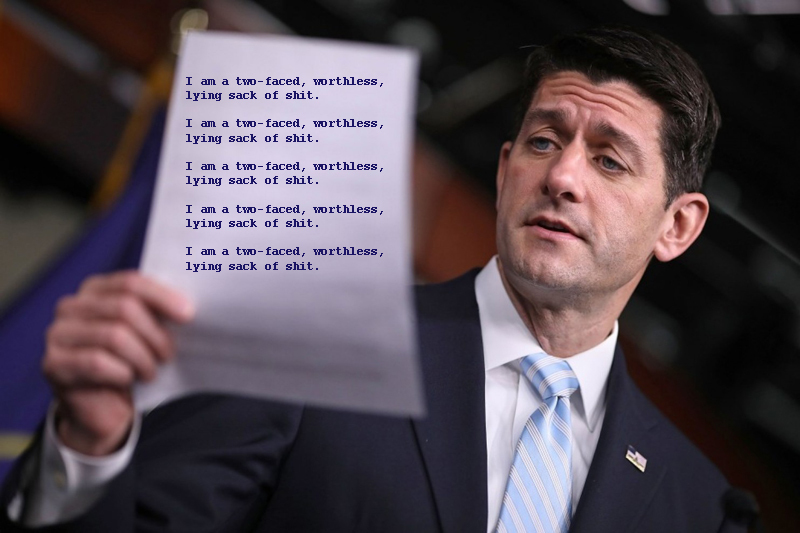 Following Speaker of the House Eddie Munster’s (R-WI) lead, 217 House Republicans voted on May 4, 2017, to approve the American Health Care Act, aka Tremendouscare. There were 213 “no” votes. Tremendouscare will repeal the Affordable Care Act, aka Obamacare, and in the process strip more than 24,000,000 Americans of their health care, either by denying services for preexisting conditions or making the expense unaffordable to those most vulnerable. Murdering 24,000,000 Americans is an act of treason.